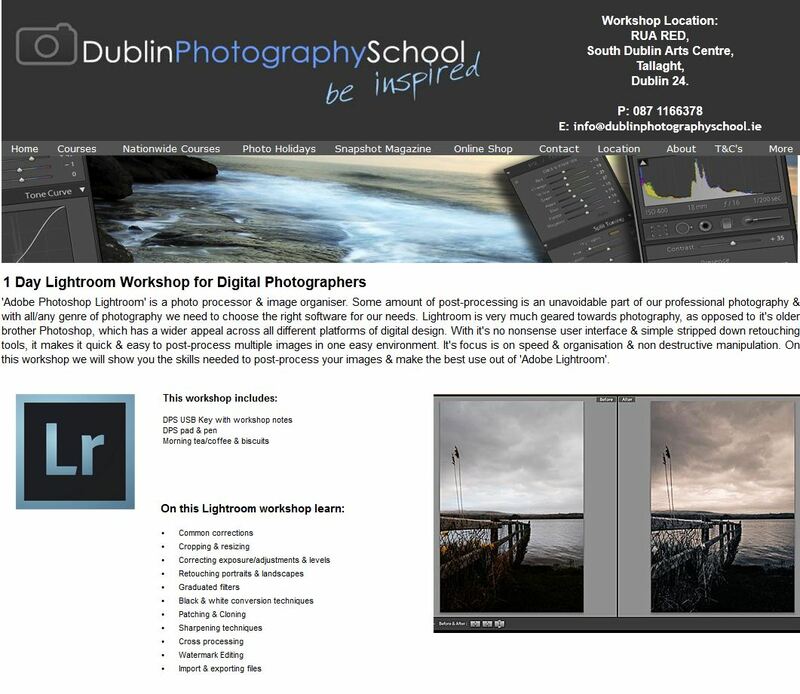 Dublin photography school are delighted to announce that we will be launching Adobe Lightroom Courses in Dublin starting in August of this year. Expanding out on our portfolio of courses that already include, Adobe Photoshop as well as DSLR Courses, Basic Photography Courses, Studio Courses and much more. This comes as demand for lightroom courses has increased in recent years and is rivaling if not replacing photoshop as the go to program for most amateur and beginner photographers. While photoshop remains king in the manipulation and retouching game it struggles to keep up with Lightrooms impressive workflow and keywording options. Our Lightroom course will teach a “as well as” and not an “instead of” ethos, that will show you what program to use where and making sure your getting the most out of the right tools for the right jobs. The course is very reasonably priced coming in at just €135. ‘Adobe Lightroom’ is a photo processor & image organizer. Some amount of post-processing is an unavoidable part of our professional photography & with all/any genre of photography we need to choose the right software for our needs. Lightroom is very much geared towards photography, as opposed to it’s older brother Photoshop, which has a wider appeal across all different platforms of digital design. With it’s no nonsense user interface & simple stripped down retouching tools, it makes it quick & easy to post-process multiple images in one easy environment. It’s focus is on speed & organization & non destructive manipulation. On this workshop we will show you the skills needed to post-process your images & make the best use out of ‘Adobe Lightroom’.